2 errant missiles from Syrian Civil War strikes Israel's largest lake one day after Syrian plane shot down after violating Israeli airspace. 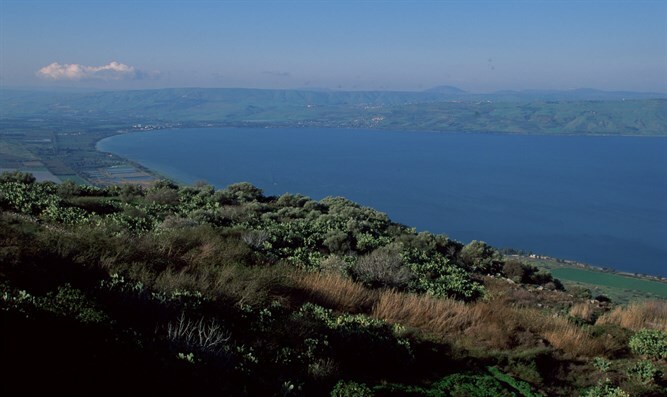 Two missiles from Syria crashed into the Sea of Gailee (Kinneret) Wednesday afternoon, the IDF stated. Many bathers were swimming in the lake at the time. Earlier, the air raid siren went off in the Golan Heights. Residents of the Golan Heights reported hearing explosions. In addition, the IDF announced that a new Patriot missile battery would be placed in Haifa. Yesterday, a Syrian plane which violated Israeli airspace was shot down by a Patriot missile. The pilot of the aircraft was killed, according to Syrian officials. It is not clear what happened to the second pilot. The Syrian government denied that the plane violated Israel's airspace and promised a swift response to the shooting down of its aircraft.